After starting their Westwood Deli & Catering business in 2004, owners Pete and Joyce Mallas of Tampa, Florida, launched their Flavors of Florida line of hot sauces. 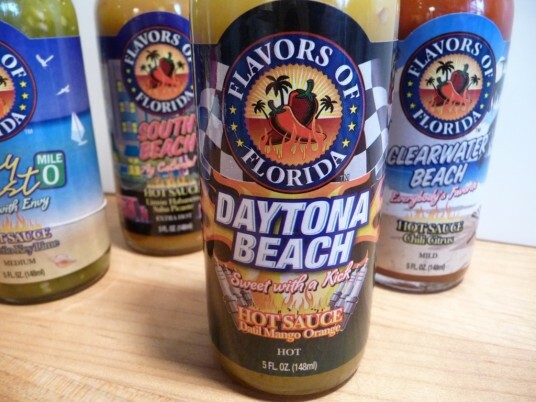 From their mild offering to their extra hot, Flavors of Florida sauces will appeal to anyone and everyone for a flavorful hot sauce fix. 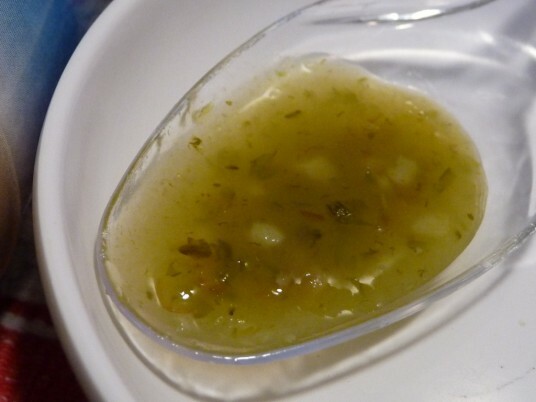 Appearance and taste: Falling somewhere between thin and medium-thick, Clearwater Beach is a pretty looking sauce that shows tiny bits of garlic and cilantro and pours very well. It smells of cayenne and vinegar, with just a hint of citrus – the lemon juice flavor is not very prevalent though. 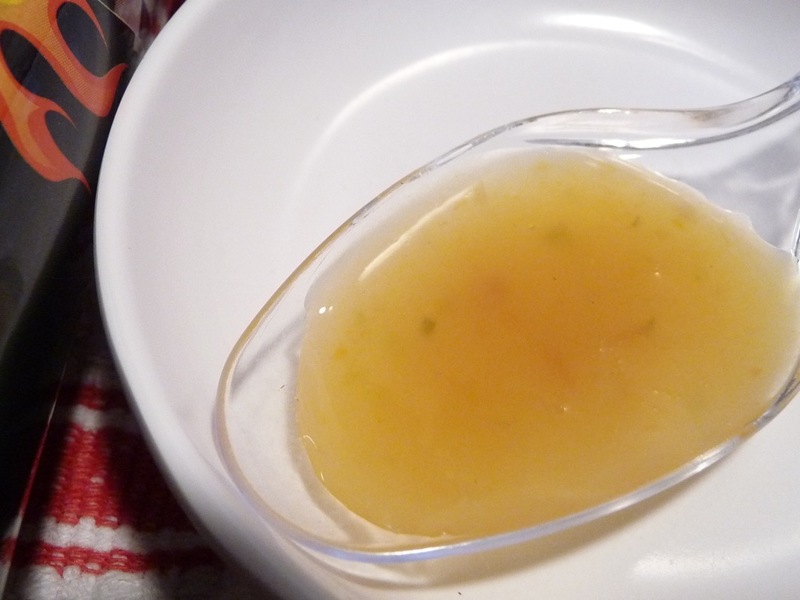 The flavor has a big hit of bright cayenne pepper along with some sweetness. 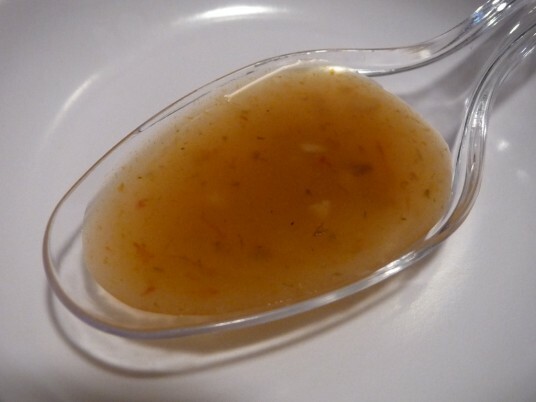 I like the garlic undertones that make this cayenne sauce different from your run of the mill cayenne/vinegar sauces. 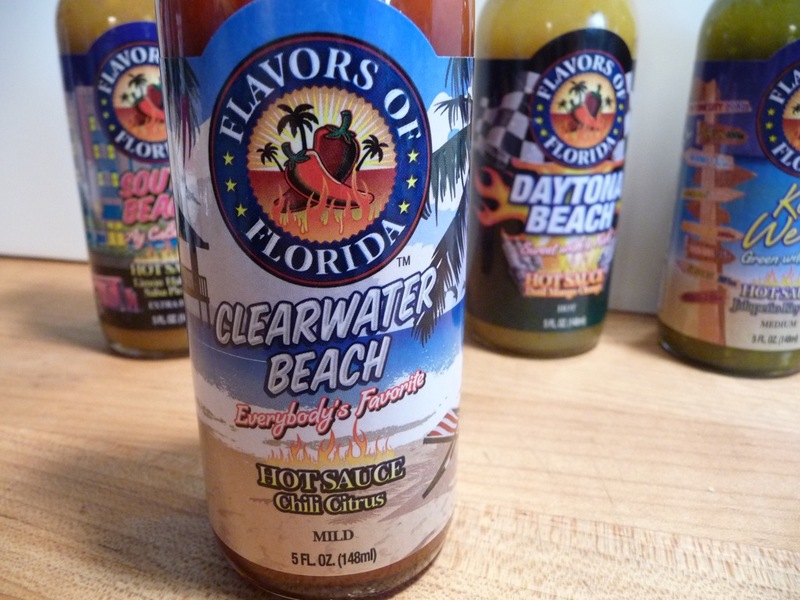 I’m not usually a big fan of cayenne hot sauce, but Clearwater Beach tastes fresh and authentic, while being slightly different from any other I’ve tried. Great flavor. Heat level: – Very tame heat, with lots of cayenne flavor. This time, taste first brings on the vinegar flavor, then the garlic – the green jalapeño rounds it out. Again, I’m not picking up the lemon juice very much. 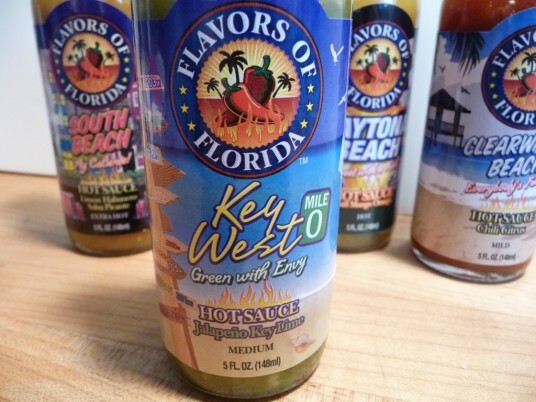 Having said that, Key West is a traditional jalapeño flavored hot sauce. Heat level: – The mild heat in this sauce is a little too harsh for me, and I’m sure the garlic burn is adding to that harshness. There is a lingering, almost bitter burn in the throat. Appearance and taste: Here’s where things get interesting. I admit, I’m a sucker for anything Datil. (The Datil pepper is unique to St. Augustine, Florida). 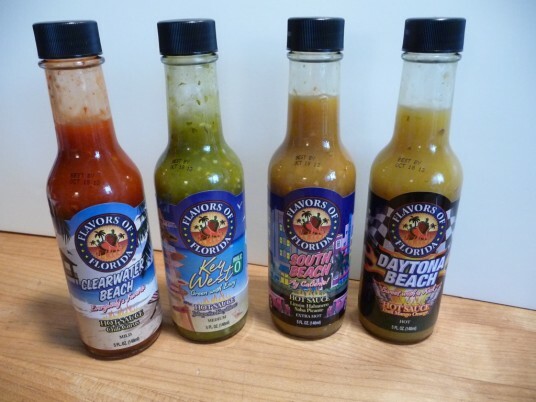 With so much vinegar and fruit leading the list, you would think Daytona Beach is not all that “habanero hot” or even “datil hot”… you would be right. First up, you smell the fruit and taste the sweetness – this is followed by a slow building heat from the habaneros. The Datil pepper heat is in there, and that chile pepper brings its own unique heat and sweetness. Overall, the taste is sweet, oniony and then hot. Not as pulpy as the jalapeño sauce, with a medium thickness, we’re back to the smaller bits of chiles and fruits. No garlic in this one. Probably the most unique sauce of the four. Heat level: – There is a different burn here, along the sides of the mouth. It’s not that hot – surprisingly about the same as the medium jalapeño sauce. Still, the Datil profile is enough to make this sauce worthy of trying. Appearance and taste: The thinnest of this line, South Beach still carries a nice amount of pulp. It smells vinegary, with a fresh citrus base. The vinegar, garlic and habanero bring on a slow building heat that gets hotter and hotter. There’s no mistaking this sauce for anything but a habanero sauce. I think the addition of the red habaneros is a nice touch – if only to know they’re in it. Heat level: – The searing heat starts on the front of the tongue and quickly goes up the nasal cavity – and I say “searing” as in the style of burn, not so much the heat level. 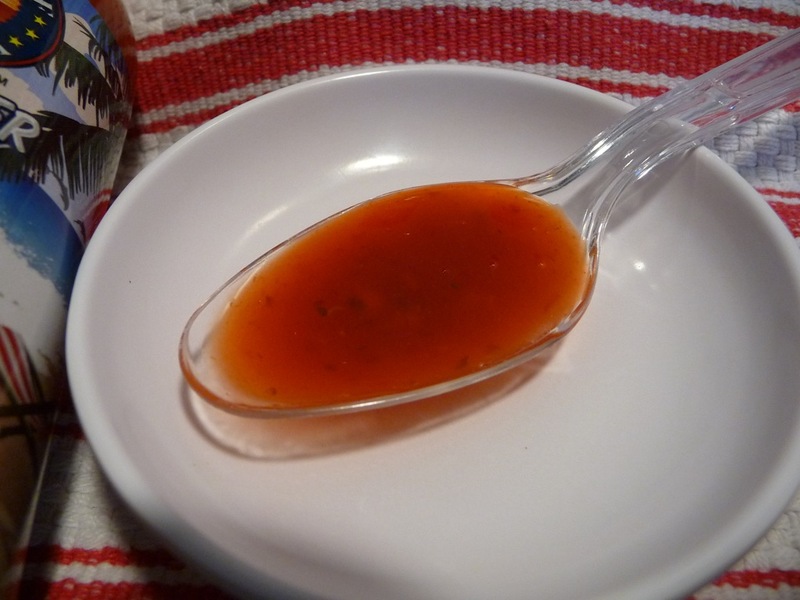 This particular habanero sauce is tame for a habanero heat. I’ve had hotter, and it’s not my cup of tea – I much prefer a habby sauce to bring on a bigger “orange” flavor with juice as a balance to the chile pepper heat. Final Thoughts: As I said in the beginning, this 4 pack of sauces brings a little something for everyone, while not trying to be the next “Heart Attack Hot” type of sauce(s). The fresh tasting flavors and variety among them are remarkable. Flavors of Florida are a first class line of sauces. Save 20% off your order! 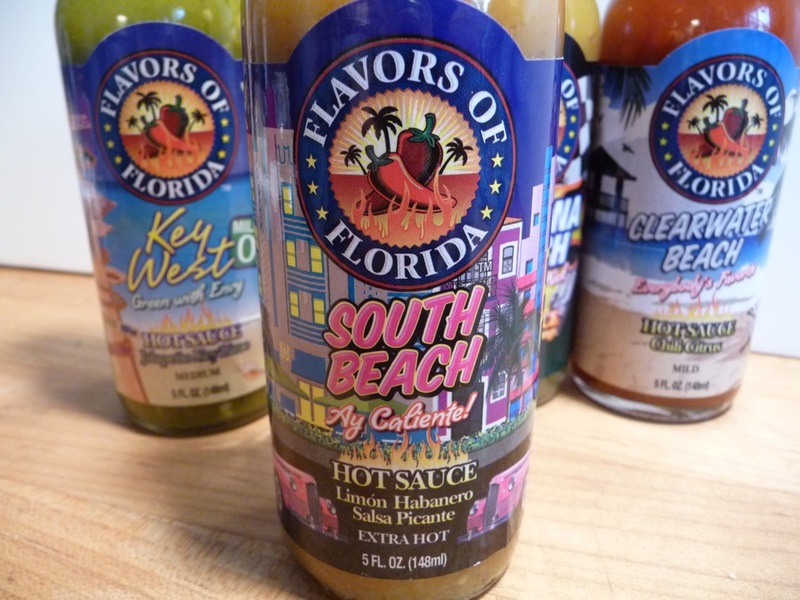 Visit Flavors of Florida and use the coupon code: hotsaucedaily20 – good through 05/31/12 only. Tell them Brian and Marilyn of HotSauceDaily sent you! Be sure to check out our interview with Pete and Joyce Mallas of Flavors of Florida on our HotSauceWeekly podcast – Episode 51 Flavors of Florida. I’m kind of a sucker for this line since I grew up in Florida.